Although exogenous follicle-stimulating hormone (FSH) has been used for decades and millions of cycles have been performed worldwide until now, criteria for selecting the proper FSH starting dose have not been clearly identified. The aim of this study was to elaborate a formula based on markers of ovarian reserve for the calculation of the appropriate starting dose of FSH. A total of 931 patients underwent in vitro fertilization (IVF) treatment using long GnRH agonist protocol was retrospectively identified and reviewed. 673 cases of them with a normal ovarian response (4–14 retrieved oocytes) were used to analysis the predictive formula. All follicles 4–7 mm in diameter were counted in the same day of blood sample in both ovaries using transvaginal ultrasound scan. The modified protocol of each patient was recorded and analyzed in the same center. In another center were the numbers of retrieved oocytes of 750 validated patients recorded and analyzed. A formula model based on age, AMH, and antral follicle count (AFC) was able to accurately predict the ovarian sensitivity and accounted for 57.2% of the variability of ovarian response to FSH. When tested in the same total population used to elaborate the model it predicts a high 46.88% rate of step-down protocol in higher-starting FSH dose group and about 57.92% of patients had their dose step-up modified in lower-starting FSH dose group during their treatment, respectively. And when tested in different population from another center used to elaborate the model it predicts a high 64.40% rate of ≥ 15 retrieved oocytes in higher-starting FSH dose group and about 22.50% of patients had ≤ 7 retrieved oocytes in lower-starting FSH dose group during their treatment, respectively. In the present study we demonstrated that the individualized FSH starting dose may be calculated on the basis of a woman’s age, AMH and AFC. The formula model might be a useful, immediate, and easily applicable tool for clinicians to predict the tailored starting dose of FSH during their daily clinical practice. Mengchen Zhu and Shanshan Wang have contributed to the work equally and should be regarded as co-first authors. Haixiang Sun and Jianjun Zhou should be regarded as co-corresponding authors. HS protocol/project development. JZ protocol/project development, manuscript correction and revision. MZ protocol/project development, data collection and management, manuscript writing and editing, data analysis. SW data collection and management, manuscript editing, data analysis. SY data collection and management. XH data collection and management. JNM: data collection and management. LC validated data collection and management. 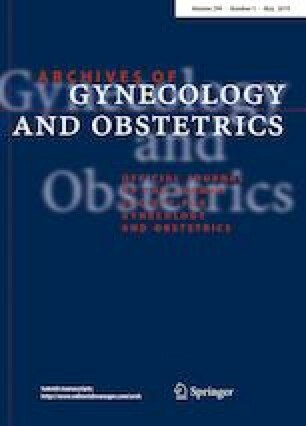 This study was supported by Chinese National Natural Science Foundation (81771537, 81571504, 81200450), Nanjing Medical Science and technique Development Foundation (QRX11166), Maternal and fetus medicine Key Lab of Jiangsu Province (XK 201102, BL2014003).